Amplifiers for electrostatic headphones are available from several manufacturers in different price ranges. Some of them sounding less well, others are sounding quite good. However, from any amplifier I ever heard, the sound potential is away from the level that could be obtained from a well designed amplifier. On these pages you find support for self-construction of amplifiers, topping the audiophile sound of commercial products by far. 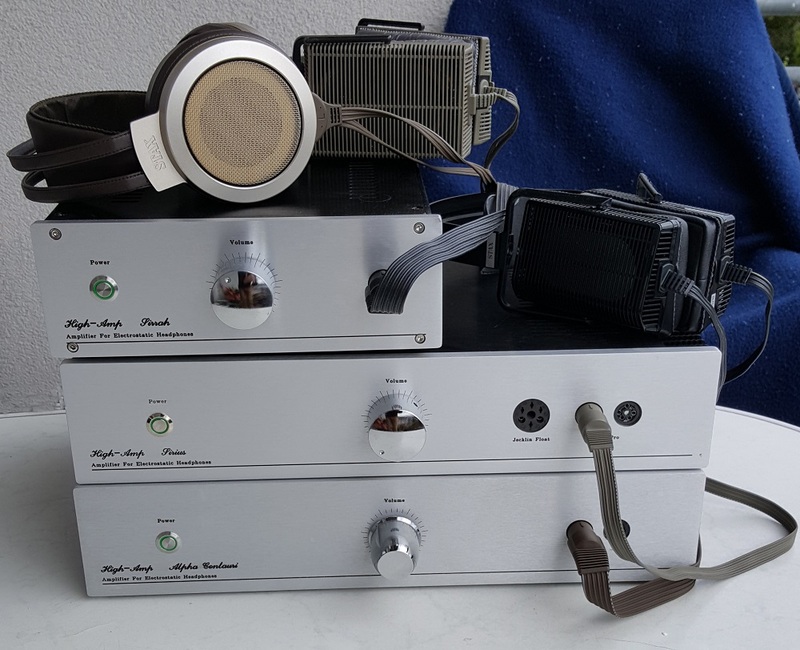 Especially the Sirius, Sirrah, Alpha Centauri and Antares have reached a level that will secure them a place in the Olymp of high-end amplifiers. Special mention must be made to the extremely fine resolution that comes with these amplifiers, never heard with any other amplifier. Such a high level of sound quality can only be received by using selected parts with special audiophile characteristics in combination with the consequent use of suitable design topology. The presented projects on these pages can be build by any ambitious DIYer with some experience in high voltage designs. Schematics, layouts, partlists and documentations are all available. I'm checking all projects several times before I place them online, but can not guarantee that here or there sometimes an error slips in. I'm grateful for each hint, to prevent the next DIYer from the same error. The content of this pages is the intellectual property of Andreas Rauenbuehler, and is Copyright © 2006. Reproduction or re-publication by any means is strictly prohibited under International Copyright laws. The author grants the reader the right to use this information for personal use only. Commercial use is prohibited without express written authorisation from Andreas Rauenbuehler.